"Special One" happy to manage at a club without lots of trophies so long as it has ambition. 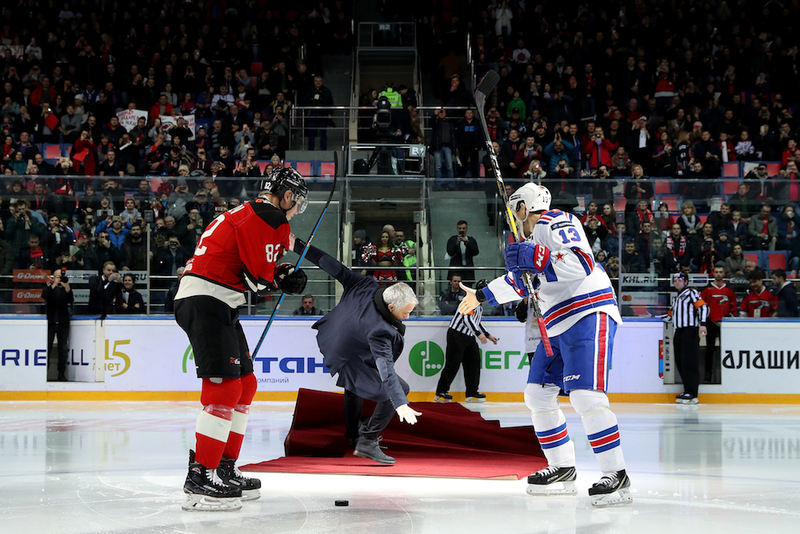 The man known as the “Special One” was sacked by Manchester United in December and has kept a low profile since — bar slipping on the ice at a Russian ice hockey match and a few TV appearances. But in his first big interview since he was issued with his marching orders from Old Trafford Mourinho insisted his time at the top and winning trophies was far from over. “I want high-level football and ambitions at the highest level,” the Portuguese told The Telegraph. After he proved himself to be a footballing alchemist at Porto — leading the Portuguese club to Champions league glory in 2004 — Mourinho has only managed big clubs, with deep pockets and a willingness to spend. From Chelsea he went to Inter Milan, Real Madrid, back to Stamford Bridge before his time at Manchester United. The perception of the “Special One” is that he will and can now only manage at clubs with big-name players and an ability to splash the cash. But Mourinho insisted of greater importance to him is the culture within any club he joins. I don’t want an internal conflict,” said Mourinho, who has down the years earned a reputation for confronting senior players at clubs he has managed. “I want internal empathy. And then your conflict is on Sunday on the pitch when you play against somebody who wants to steal your three points. 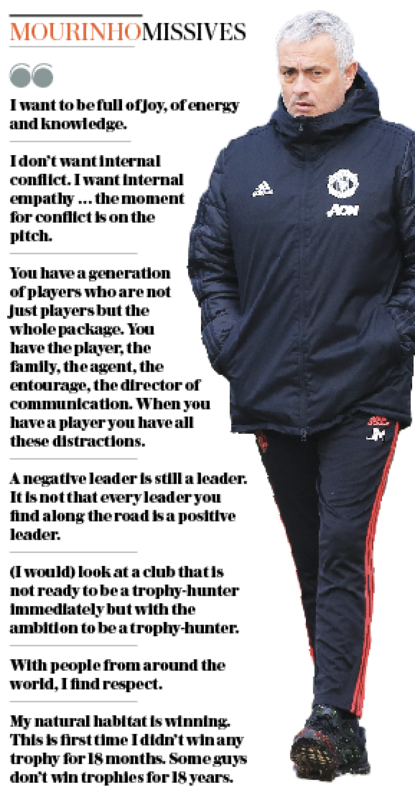 Mourinho, who enjoyed a good first season with United, landing the Europa League and League Cup before things turned sour when he won nothing last year, says structural empathy is obligatory for him. “I don’t know if it is a bad translation from Portuguese to English but focus on these two words, ‘structure’ and ‘empathy’,” said Mourinho. “I want to work with structural empathy. A club is a structure, a complex structure where the manager is an important part of that structure but he is not the structure. “I want to work with people that I love. “People I want to work with, that I am happy to work with, with whom I share the same ideas. The sight of Mourinho leaving a club under a cloud is nothing new. He was twice sacked from Chelsea and parted company with Real having fallen out with the players and out of favor with the club president Florentino Perez. But he enjoyed success in all three stints at the Bernabeu and Stamford Bridge. Something that, despite winning the League Cup and Europa Cup, few would say about his time in the Old Trafford dugout. Asked whether he would learn from his Manchester United failure, Mourinho said: “People used to say that you learn more with defeat. “Maybe there is some truth in it. I feel my natural habitat is winning. This is the first time when I didn’t win any trophy for 18 months. “Some guys don’t win any trophies for 18 years. I didn’t win any trophy for 18 months. “Now I have time for thinking, reflection, trying to understand everything and trying to be more ready for the next one that is coming,” said Mourinho.